Join the discussion on our forums! Come discuss Glinda Crowskin over in our dedicated Glinda Crowskin discussion topic. Minions in your hand have_Echo. "Your moonlit shadows rise to meet you"
I combo this with Gnomeferatu to obliterate combo decks at rank 20. So I tried her with The Darkness, and to my shock he didn't have echo. 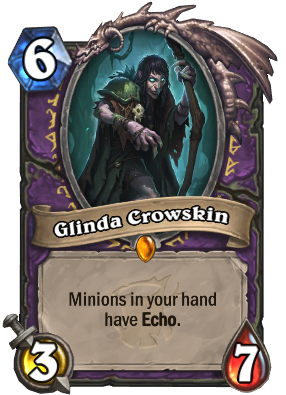 I have confirmed that Glinda affected minions work with Mistwraith. So broken in wild with naga sea witch and 0 mana giants. 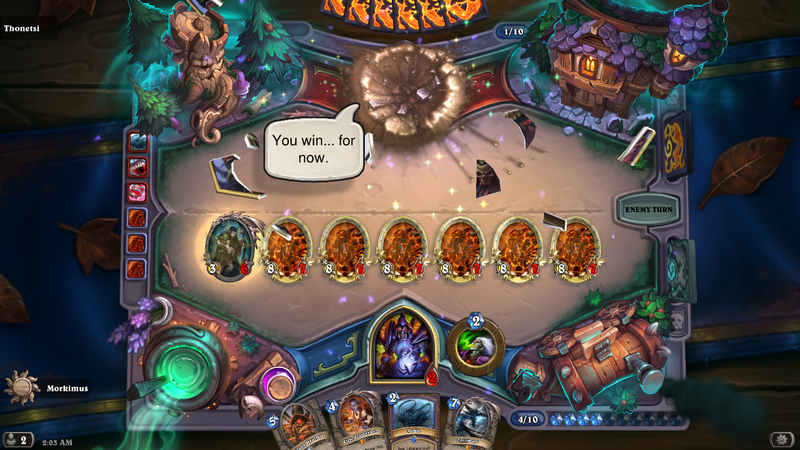 That's worse than filling your board with 5/5 dragons. But make your Gul'dan and Weapon and Lackey WAY worse. It is much better not screwing your deck up then having this have slightly more upside here and there. "Let us see if zees works!" "Let me change your mind!" 1 mana spell Your soul shall be mine "destroy your warrior opponent, be a good kid let him have time for another game"
PS : I know fatigue war beats control lock. If you don't understand the meme , let it be.